Well this post is certainly a long time coming. 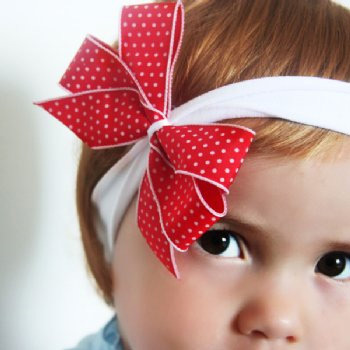 I've been meaning to write about the fabulous kids hair accessories from Flirty Bird for ages. Michelle from Flirty Bird has been obsessed with hair accessories since she can remember and makes each piece by hand with love. 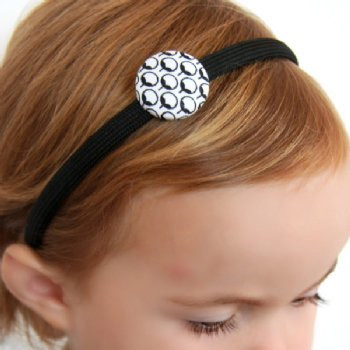 The Flirty Bird range includes headbands, bobbies, barrettes, rings, snap clips, ponytail holders, mirrors and brooches. I had fun picking out my favourites from the online store including the comfy ribbon headband, the adorable felt green apple clip and the very chic black and white fabric-covered headband, proving that even little sweeties with less than a full head of hair can have fun with Flirty Bird. 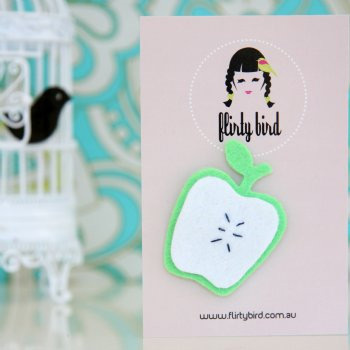 You can find Flirty Bird in the online store and at stockists around the world. Stop by the Flirty Bird blog to find out about new accessories as they are released and some fun competitions. Check out Bondville Kids for more great Australian kids fashion. And shop online for kids fashion from great stores in the Australian Online Kids and Baby Store Directory. Oh I sometimes wish I had a girl. All these pretty things. Do you think my boys would notice if I slipped a nice clip on their head before school .. ? ?